There’s a fellowship time after the 11:00 a.m. worship, and you’re invited! We gather in the Wallace Foyer for coffee, lemonade, cookies, and conversation. It can be a bit loud and rowdy, with conversation and children -- but a great way to meet some of the people of FPCA. We worship on Sunday mornings at 8:45 a.m. and 11:00 a.m. Child care is available at 8:30 a.m., through the end of the 11:00 worship service. Sunday morning classes for adults, youth, and children are from 9:45 to 10:45. People attend worship at FPCA in a wide variety of attire, and you will be welcome here no matter what you wear. 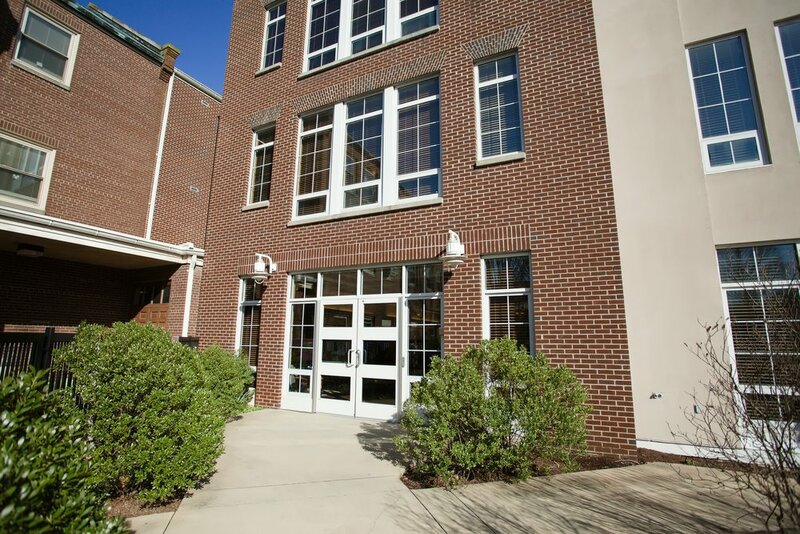 The main entrance to the church is the Wallace Foyer entrance off of Aston Street, with first-time visitor parking in the upper parking deck. You can also enter the church from the Lower Parking Lot Entrance, and take the elevator or stairs to the Ground level. The Wallace Foyer entrance is also the weekday entrance for meetings or events. The door is usually locked on weekdays for security purposes, however the door code is available to those who are actively involved at FPCA or the Child Care Center. To get the door code, please email Penny Gibbs at pgibbs@fpcasheville.org. On Sunday mornings you can also enter from the Memorial Garden door on Church Street, or the Church Street doors leading into the sanctuary or chapel. Parking for visitors on Sunday morning and throughout the week is available in the upper parking deck, accessed from the lot entrance on Aston St. Other parking, as well as handicapped accessible parking, is available in the lower lot, also accessed from the lot entrance on Aston St.
During the week, parking in the lower lot is open to the public for a fee, and available at no charge to FPCA members who display a parking decal. As a downtown church, easily accessible parking is limited. There is some adjacent street parking. 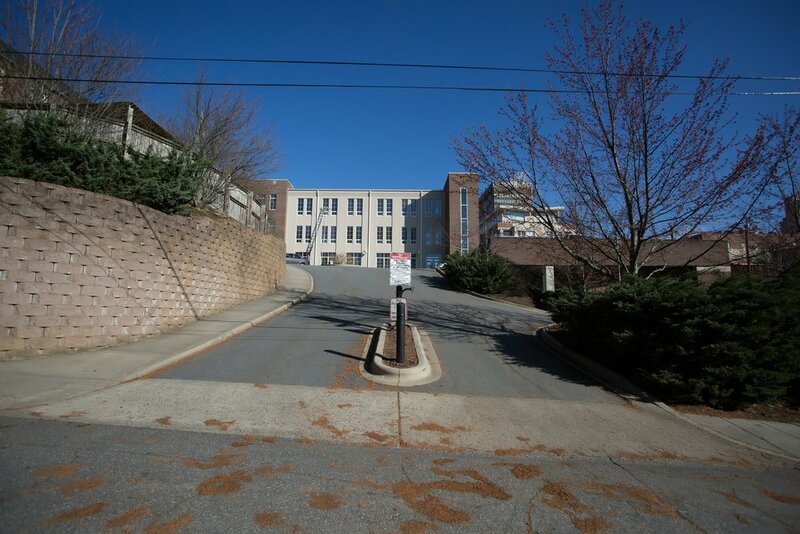 We are also blessed to be across the street from the Biltmore Avenue Public Parking Garage, located under the Aloft Hotel, which almost always has available space, especially on Sunday morning. The cost of parking at the garage is free for the first hour, and $1.25 for each additional hour or fraction thereof. Church membership is the tangible way in which God calls people to be part of the living body of Christ. Joining a church is the way that we as individuals respond to God’s call. FPCA welcomes into membership all persons who trust in God’s grace in Jesus Christ and desire to become part of the fellowship and ministry of this congregation. If you are interested in becoming a member of FPCA please contact Patrick Johnson at pjohnson@fpcasheville.org. We hold Presbyterian 101 classes throughout the year for those who are interested (no classes are required to join the church), as well as new member dinner gatherings where new members can get to know one another, members of the session, and the pastors and staff.